Support our troops for the holidays. Like most people pretty soon you will be thinking about getting back into the gym after the holidays to start losing weight and working off what you ate for Thanksgiving and Christmas. During the year did you still have a belly and thought that it us just superficial fat. Well you might have split abdominal muscles. What are split abdominal muscles and how so you get them and how can you find out if you have it? When I started in the medspa business one of the things that was started was fat reduction or liposuction that was done by plastic surgeons. Two of my patients had split abdominal muscles not fat in the abdominal area. Every person has 3 layers of abdominal muscles. 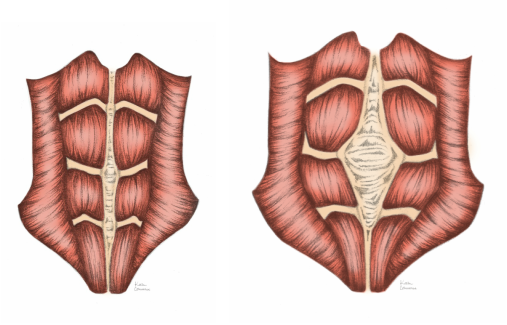 What can happen if there has been rapid weight gain or multiple pregnancies or even a C-section is that your top abdominal muscle called the rectus abdominus can split. When this splits it can push your intestines forward making appear that you have a lot of subcutaneous fat. Then you go to the gym and the trainer tells you to do a bunch of sit ups and you feel that it’s not getting any better. That is because sit ups can make your split abdominal muscles worse. Sit up make it tear even more making look even more distended in the abdominal area. How do you know if you have split abdominal muscles or not? One thing to do is check with your doctor. They know of a simple test that is performed in the office to see if you have split abdominal muscles. If you truly have split abdominal muscles there are a couple of things that you can do. 1. Get surgery to bring your abdominal muscles back together. 2. Stop doing sit ups and you can do planks and crunches instead. By doing planks you will be toning up the transfer muscles under your rectus abdominus which will help to tight up the upper portions of your abdominal muscles. In my next blog I will talk about what exercises to use more in-depth to help you tighten up that those split abdominal muscles.